We conclude November with another update for you. Several UIs now use avatars, such as combat, internal syndicate lists and public profiles benefit from a new layout as well! The the information panel contains a useful comfort feature: credit logs help you checking recent balance changes. The narrative team created a new mission for level 14+citizens and the CORETECHS has been cleaned up which leads again to a more compact view. Read on to see all changes and improvements of today’s new version. ➔Continue reading "Update Changelog 2018-Nov-30"
The new game version contains several important changes, improving the career system. Another 2 new missions are available in Barnard’s Star system. The avatar UI has been touched up too, including better image display. Besides a lot of detail changes based on your reports, the area tutorials of the new sub-areas in the ruins will now respect your personal settings and remain minimized if you closed the help screen. Read on to see all details of the new update. ➔Continue reading "Update Changelog 2018-Nov-22"
The update of calendar week 46 brings you the first part of the avatars; you can now choose how your citizen looks! A new PvP protection is in place while playing missions, doing side jobs or doing discreet work. The level requirement for a syndicate foundation has been reduced down to level 14. The narrative team was also busy, and present another 2 new missions in the Barnard’s Star system. On top of that, there are several UI improvements, textual corrections as usual, and please have a look at the list of supported browsers. ➔Continue reading "Update Changelog 2018-Nov-14"
The former Ruins area got split up into more sub-areas to better deal with the recent new features and to be prepared for upcoming features at the same time. The Ruins now consist of ‘The Wrecks’, ‘Syndicate Districts’ and ‘The Wilds’. Furthermore, 2 new missions have been (officially) added, and several improvements and fixes made to the game, thanks to your reports! 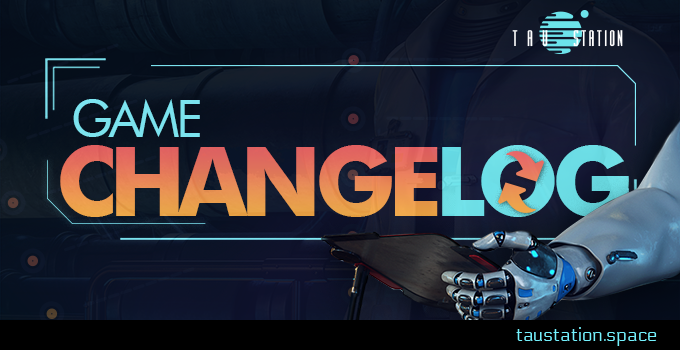 ➔Continue reading "Update Changelog 2018-Nov-07"
October 2018 was one of the most prolific months for our young game. A total of 8 new missions were added, we released our first trailer, cycle 200 was celebrated with gifts and a new mysterious mission. Following a Community suggestion, the Station News feature enriches game play, reporting to everyone what’s going on in our growing universe. The new consumable item ‘Termination Pellet’ allows new strategical re-spawns; your wish is our command. Military Stim packs have been updated with a batch of new 3D artwork, now indicating which stats get boosted. Many improvements have been added to the combat system. 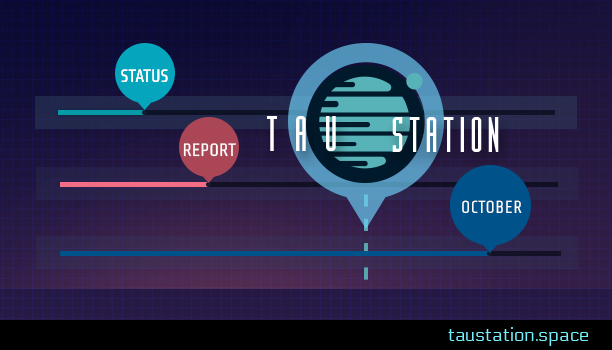 Read on to see all details about an exciting month in Tau Station! ➔Continue reading "Status Report: October 2018"
Recently, the team has been working a lot on infrastructure and upcoming features which will be released later on. But for now, what you can see is a new mission and the content of additional cycle 200 update last Wednesday. It also contained a new mission with a special reward and a gift for cycle 200 citizens. Read on to see all (visible) update details of this week, but also learn more about the big features that are in development right now. ➔Continue reading "Update Changelog 2018-Oct-31"
In this week’s update, a batch of improvements for the Combat has been implemented; thanks for your reports! With “Enemy of the Gate” and “The White Lady”, two new missions are available in the Barnard’s Star system. On top to that, we introduce the brand new feature based on a Community suggestion: Station News. Read on to see all details about today’s version update. ➔Continue reading "Update Changelog 2018-Oct-24"
Two new missions are available in Barnard’s Star system, Syndicates have some detail improvements, and a simple yet very useful change for the Public Market is now in place thanks to your feedback. Read on to see all details of this week’s content update. ➔Continue reading "Update Changelog 2018-Oct-17"
Enjoy the first Tau Station trailer! 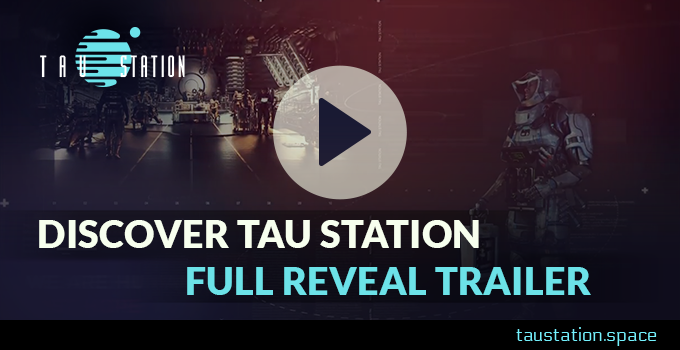 ➔Continue reading "Enjoy the first Tau Station trailer!" ➔Continue reading "Update Changelog 2018-Oct-10"